Working together, we can help more children find permanent loving families! Every day, the RainbowKids Waiting Child Area features thousands of children in need of a family of their own. Many of these children are toddler–age or older, some are part of a sibling group, and others may have a medical special need. Over the last 20 years, RainbowKids has helped more than 40,000 children find their permanent families! Example 1: LA Kelley, an organization specializing in educating families about Hemophilia has no affiliation with adoption. However, they do have a strong connection to families who are currently parenting a child with hemophilia. As a member of the Child Advocacy Network, LA Kelley now receives an email instantly when a child with Hemophilia is added to the RainbowKids website. This email contains a short profile and link to the child's listing that LA Kelley then shares with their network of families through their website, social media and e-newsletter. Example 3: Some organizations, such as Little People of America, have an established adoption advocacy program (and they are a wonderful group!) As a CAN partner, LPA has instant notification of children with Dwarfism that become available for adoption, and are put into contact with the adoption service providers that are representing that child. We've built an inclusive system that gives every child the greatest opportunity to find their forever family. Because nearly every Intercountry Adoption Agency in the USA uses RainbowKids to list their waiting children, the Child Advocacy Network is uniquely positioned to act as a central location to connect children needing families with organizations and individuals willing to advocate and help find families! 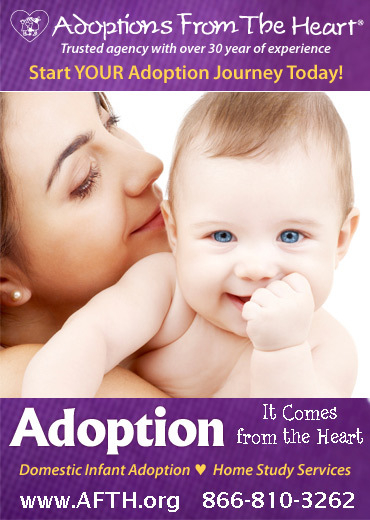 Every day new children are uploaded to RainbowKids.com by adoption agencies across the USA. If you have a heart for children in need of adoption, consider partnering with us in the Child Advocacy Network (CAN)! Over 4,000 children are currently available for adoption on RainbowKids and more are being added everyday. 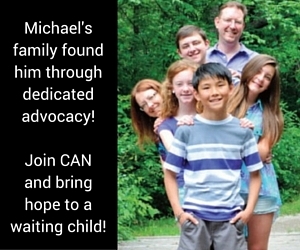 When you join CAN, you are committing to advocating for children with a specific special need. If you are an organization without an adoption advocacy program, we would love to share information with you on how to feature children needing families!